Nominations for the Hugo Awards closes March 31. 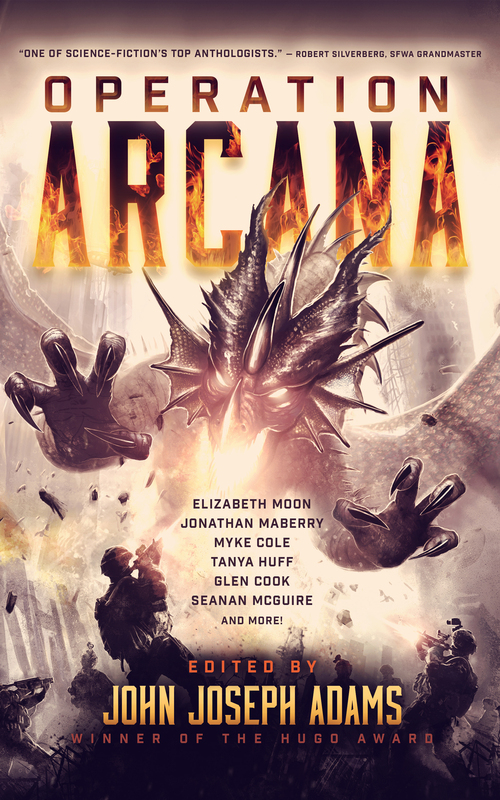 NEWS: OPERATION ARCANA is Now Available! Operation Arcana, my new anthology of military fantasy, is now available from Baen Books. If you’d like to learn more about the book, read stories from the anthology for free online, or read interviews with the authors, visit my Operation Arcana website at johnjosephadams.com/operation-arcana. 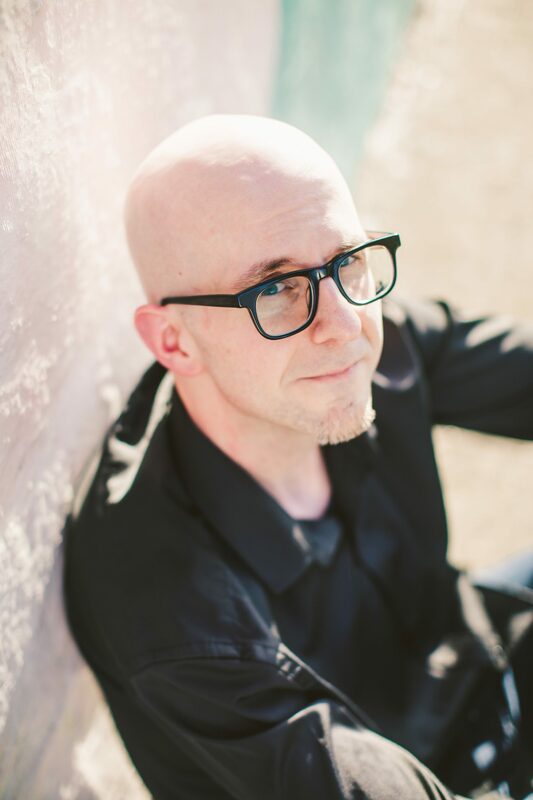 An article I wrote with my editing partner Daniel H. Wilson, “Ten Reasons to Write Short Stories Even Though the Pay is Peanuts,” is available to read for free online on the SFWA Blog. It first appeared in the latest issue of the SFWA Bulletin. You can probably guess what it’s about from the title! 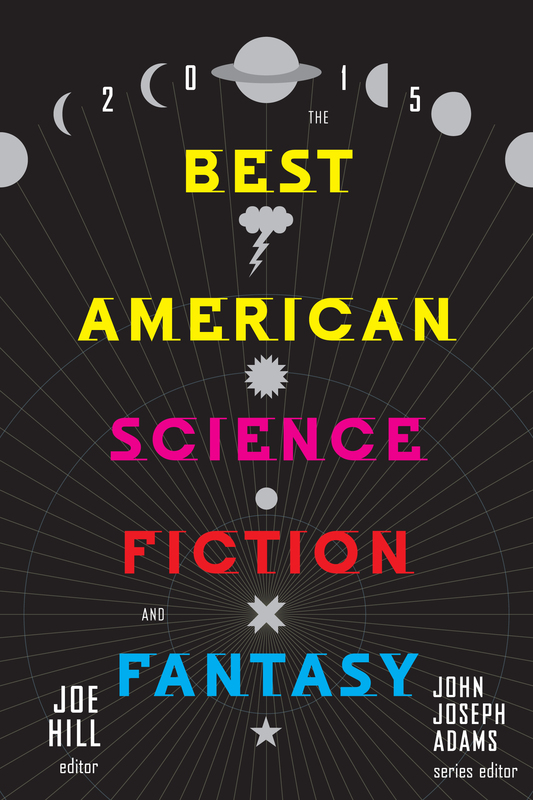 NEWS: Cover Reveal for Best American Science Fiction & Fantasy 2015! On February 1, I finalized my selections for Best American Science Fiction & Fantasy 2015 and passed them along to guest editor Joe Hill. Now Joe will read the 80 stories I selected (40 SF / 40 fantasy), and choose the best 10 of each genre that will go into the anthology. The rest of the stories will be listed in the back of the book as “distinguished stories” published in 2014 (like honorable mentions). Meanwhile, I’m pleased to be able to reveal the cover and announce that the book is now available for pre-order. My first anthology, WASTELANDS: STORIES OF THE APOCALYPSE, is now available in mass market paperback, from Titan Books. Titan will also publish the companion volume, WASTELANDS 2, on Feb. 24. Gathering together the best post-apocalyptic literature of the last two decades from many of today’s most renowned authors of speculative fiction — including George R.R. 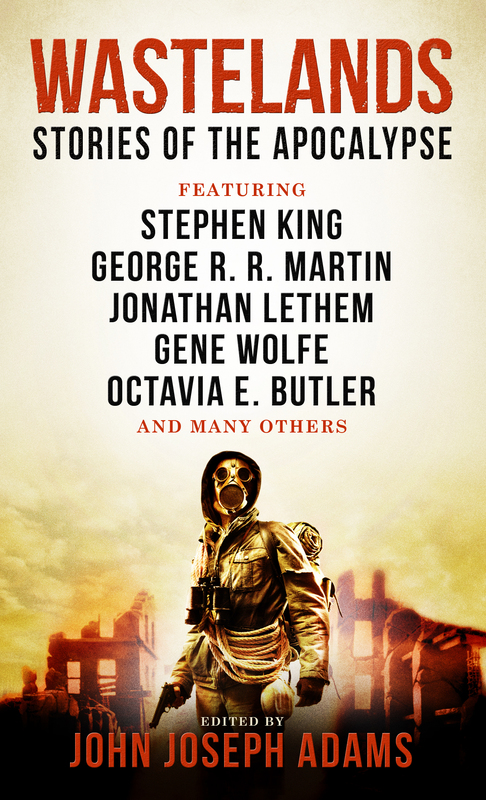 Martin, Gene Wolfe, Orson Scott Card, Carol Emshwiller, Jonathan Lethem, Octavia E. Butler, and Stephen King — Wastelands explores the scientific, psychological, and philosophical questions of what it means to remain human in the wake of Armageddon. Whether the end of the world comes through nuclear war, ecological disaster, or cosmological cataclysm, these are tales of survivors, in some cases struggling to rebuild the society that was, in others, merely surviving, scrounging for food in depopulated ruins and defending themselves against monsters, mutants, and marauders. Wastelands delves into this bleak landscape, uncovering the raw human emotion and heart-pounding thrills at the genre’s core. This year’s Hugo Awards nomination period is now open. The 2015 Hugo Awards will be presented in Spokane, WA during Sasquan, the 73rd World Science Fiction Convention (Aug. 19-23). Nominations close on March 10, 2015. Anyone who is or was a voting member of the 2014, 2015, or 2016 Worldcons by the end of the day (Pacific Time/GMT – 8) on January 31, 2015 is eligible to nominate. You may nominate only once, regardless of how many of those three Worldcons you are a member. If you’re not already eligible to nominate and don’t plan to attend, you can purchase a supporting membership for $40, which gives you voting/nomination rights. Nominations may be submitted through the online ballot, available here. To assist you in finding material to nominate, I’ve assembled this post to list everything that I worked on in 2014. Most of Lightspeed‘s original fiction from 2014 is available online (and also much of the 2014 original fiction is available as a podcast). Most of Nightmare‘s original fiction from 2014 is available online (and also much of the 2014 original fiction is available as a podcast). Selected stories from The End is Nigh and The End is Now are available online. Selected stories from Help Fund My Robot Army & Other Improbable Crowdfunding Projects are available online. Selected stories from Dead Man’s Hand are available online. Selected stories from Robot Uprisings are available online. Also, here is a spreadsheet showing the word counts of all the material I published in 2014 in Lightspeed, Nightmare, and in the abovementioned anthologies. If you are planning and eligible to vote for the Hugos this year, if you email me proof of your Worldcon membership (i.e., your name is listed on the Worldcon website as an attending member, or the email confirmation or receipt you received when you purchased your membership, etc.) I would be happy to make some additional 2014 material I edited available to you in digital format. My first anthology, WASTELANDS: STORIES OF THE APOCALYPSE, is currently on sale in ebook format for just $1.99 until Dec. 30. Here’s the cover, cover copy, and table of contents for OPERATION ARCANA, an all-original anthology of military fantasy I edited for Baen. It’s forthcoming in March 2015, but you can pre-order it now. Cover art by Dominic Harman; cover design by Jason Gurley.